The plants in the little composting grow tubs I made in my previous post are growing really well! However, I’m finding that there isn’t enough room for my kitchen scraps and it’s not always easy to blend them up before I add them. So I got Tumbleweed worm farm from Bunnings. 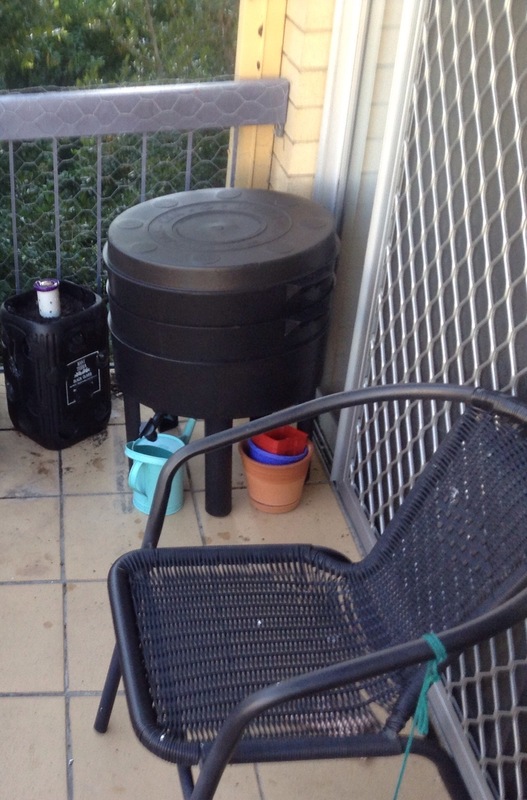 It’s a good size for the balcony and can take the amount of kitchen scraps we produce. 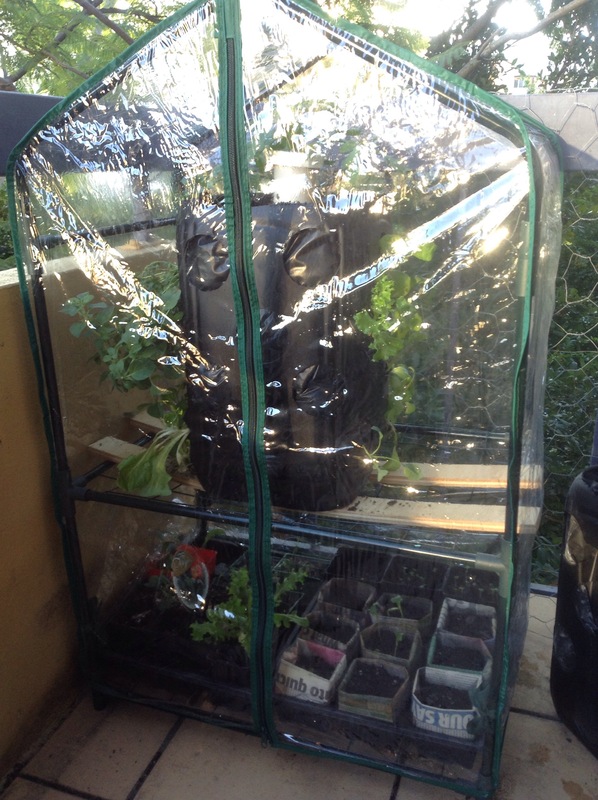 The great feature about this worm farm is that it has a little tap at the bottom so you can collect ‘worm juice’, a nutrient-rich leachate that is a brilliant natural free fertiliser. I’ve had it for about 2 weeks now and it doesn’t smell bad at all; there are some little fruit flies, but I’m sure they are just helping the process. It should take about 3 months for the worms to munch on all the stuff in the first tray.Then I will somehow switch trays and keep feeding them. It’s cool to think that once my garden is in full swing, the scraps from the veggies I grew will go back to the worms who will the help the next veggies to grow! The ground coconut substrate that comes with the worm farm. Can you see the sneaky cat tail? Release the worms! 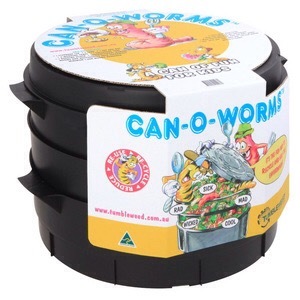 i got these from the worm compost at my school, but you can get them online or even at Bunnings! Add the top blanket cover (otherwise known as first level cat proofing). This actually encourages the worms to go up to the top layer of fresh scraps. And that’s it! The worm farm and worm juice maker. 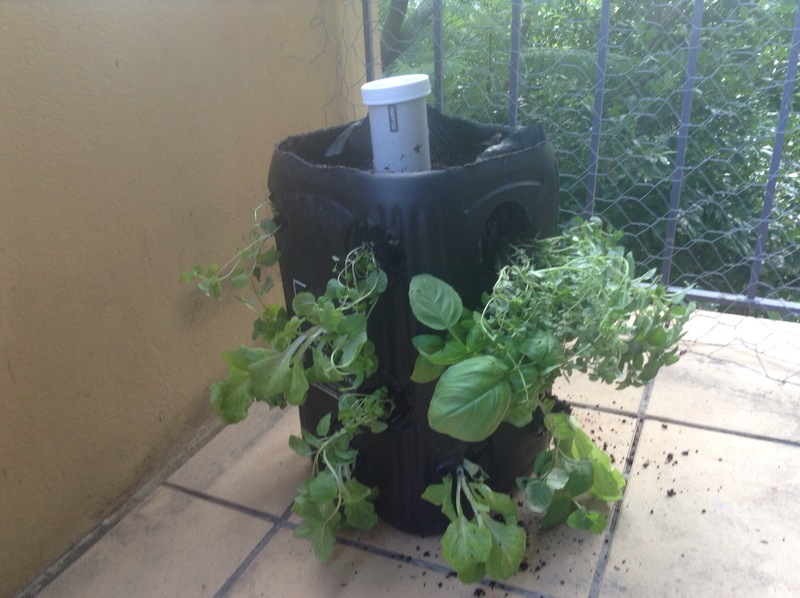 I found a great planter option called garden towers. 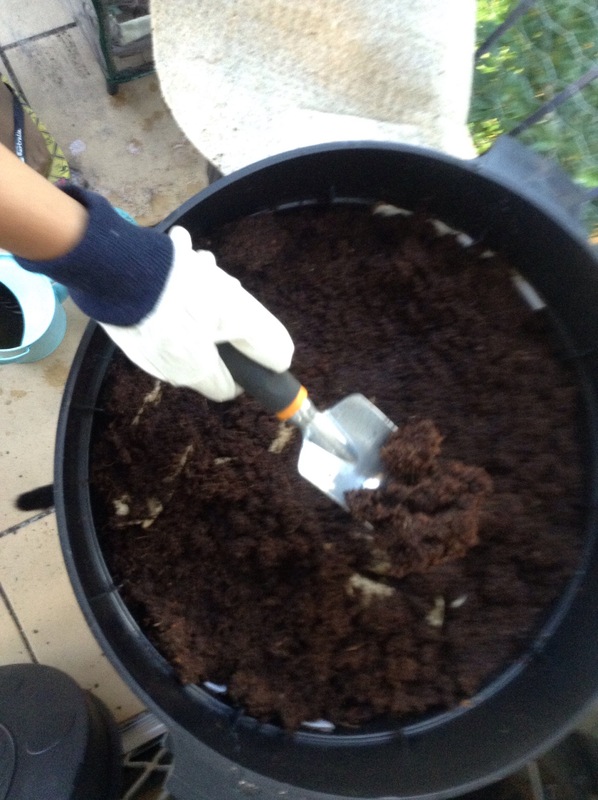 There is a central perforated tube in a large planter tub where you can keep composting worms and add your compost directly to it. When the central tube is watered, the water flows through the composted matter and provides the plant roots with lovely nutrient- rich worm juice. Unfortunately for me, it’s only available in the North America so I kept searching to see if I could make one myself. I did find a mini version of it and a couple of weekends ago so I made two using large-ish olive tubs. I planted only 3 sides and the top of one because it’s autumn and there isn’t as much sunlight. 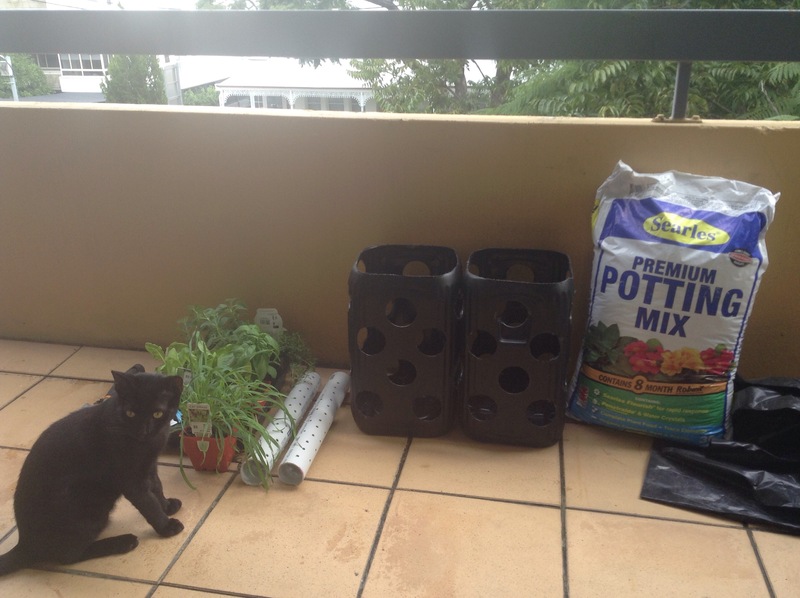 Seedlings I planted in the tub were basil, thyme, oregano, mint, lettuce, kale, tomato and a catnip cutting. Once I had everything planted out, I added worms and some blended kitchen waste. I also had to construct a makeshift little cage to keep Mr Finch and the possums out. This is just a temporary solution until I find or make something neater. In the second grow tub, I planted seeds just on 2 sides. Seeds I planted:cucumber, beans, snow peas, rocket, lettuce. So I wonder how they go! See the instructions after the photos if you want to try on yourself. Cutting the top off with a jig-saw! Ready to put it all together with Mr Finch. Mostly done. I added a tomato plant to the top. Pipe slightly longer then the height of the tub with a diameter wide enough for your hand to go in. Drill lots of holes in the inner pipe. 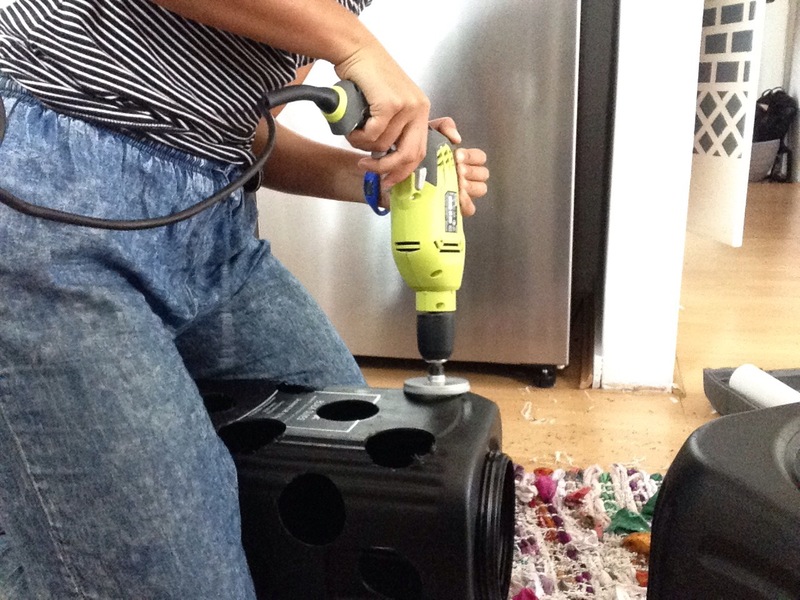 Drill the large holes in your large tub. 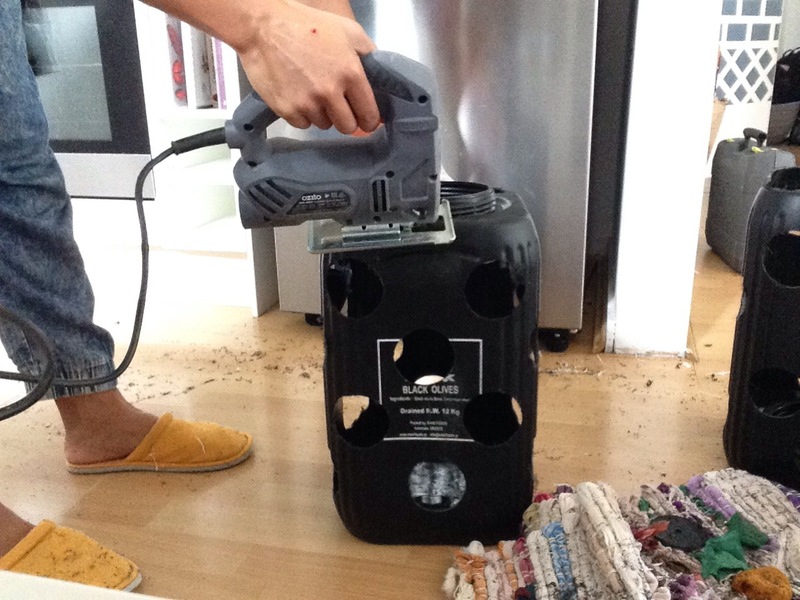 Cut off the top with the jigsaw if you need to. Place the pipe in the centre. 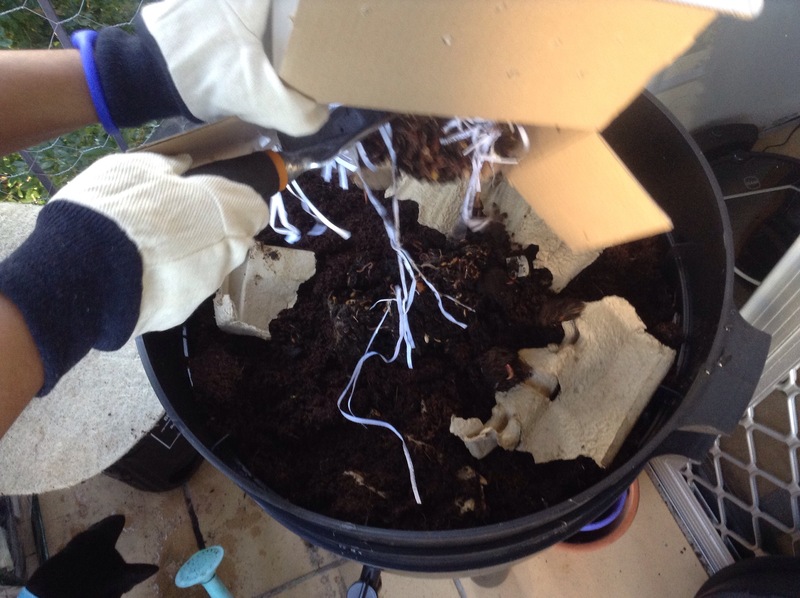 Starting with a lower plant hole, cut a cross in thee posed bin bag. Dig into the soil and plant one of the seedlings. Continue with all the holes. Add some soil into the central tub. 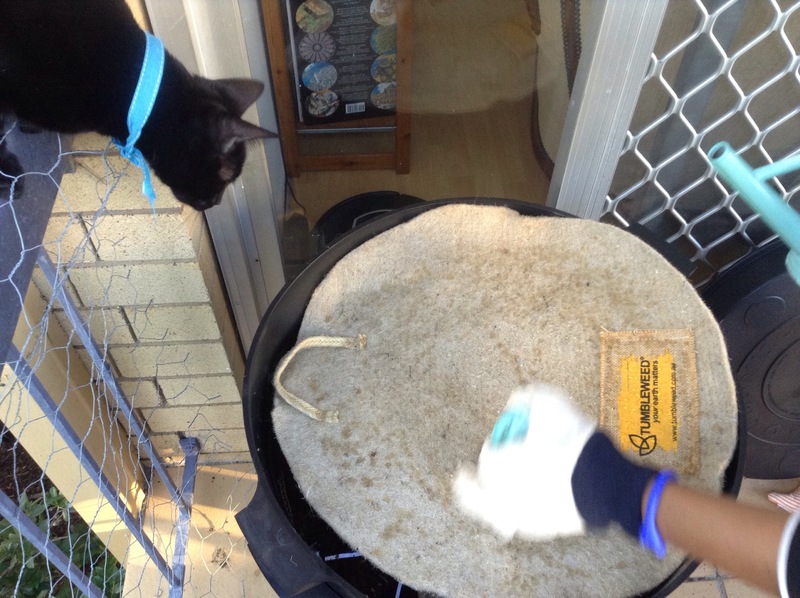 Add composting worms followed by some blended kitchen compost scraps. Water it well through the tube. *I’m not sure if I should add drain holes at the bottom of the tubs. I might -it seems sensible. I have a long term goal of living on a block of land in the mountains in a little house and having a lucious veggie patch, fruit plants, chickens, goats and beehives. This desire to be self-sufficient might be in my genes- I’m part pacific islander and some of my family live off the food in their gardens, the forest and the sea. But the reality is that I’ve just finished a 10 year round the world work and travel stint so I haven’t got the funds to head for the hills just yet. 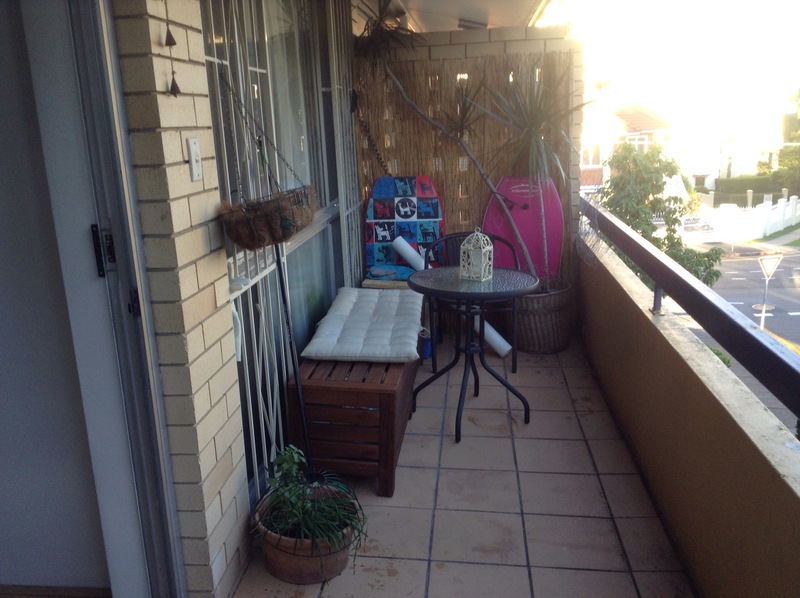 I live in Brisbane and have a little apartment with a partly sunny balcony. So I’ll have to start small. The great thing is that there are a bunch of options for urban gardening and I hope to try them out. I have found ideas on the Internet and in books. 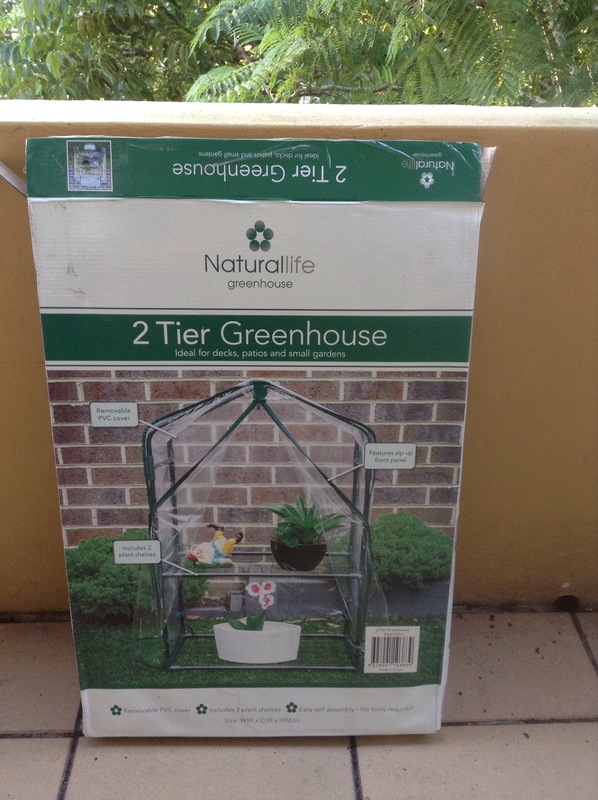 This is my blog to track the hopeful evolution of my balcony into a little food haven in sunny subtropical Brisbane. My balcony started with a big yukka plant that I transplanted into a basket found on the side of the road. I bought some catnip and catgrass for my little cat, Mr Finch.